Camp Registration Open for Hilltop's Big Kids Summer! Join us for a joyful summer with Hilltop's Big Kids Summer Camp! 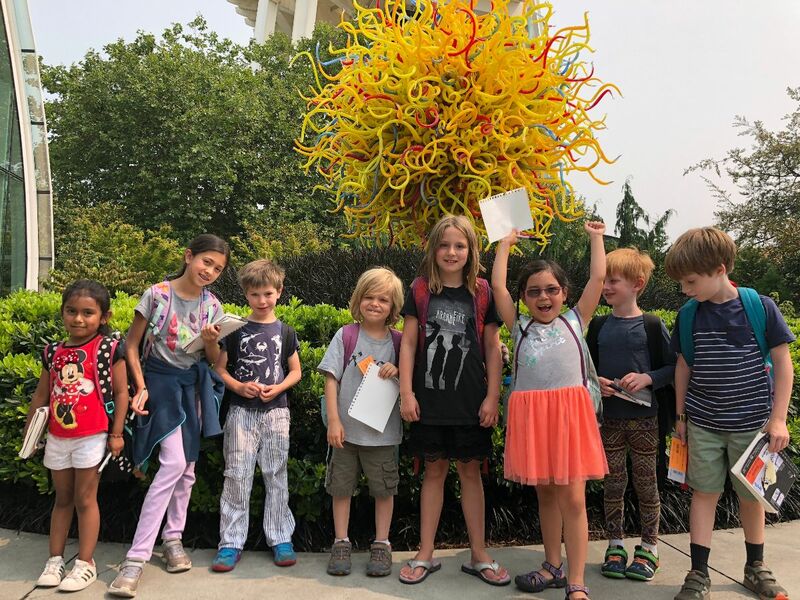 Big Kids Summer Camp combines many summer camp activities into one camp so you can minimize transitions for your child, and you don't have to drive all over the city to different camps all summer for your child to have a diversity of experiences! For children in K-4th grade. Friendships, laughter, and lots of fun! Look for a contract sent your way in the next couple of weeks! What do you think of Hilltop? "This place is life changing." "I think I had the most fun with all of the field trips that we took in last year's summer camp! I really enjoyed going to the library!" "Reclaim the wild-nature of children in summer! This program seeks to differentiate from cold, stale learning environments and encourages kids to be emergent in their learning experience. " "One of the things I particularly enjoy about working in the Big Kids Program is building those mutually respectful relationships between kids and teachers, where both kids and educators feel they have a voice and an ability to contribute to what happens in their classroom." Copyright © 2019 Hilltop Children's Center, All rights reserved.